A Better Awesome 80s one of the most famous online radio station on Alabama. 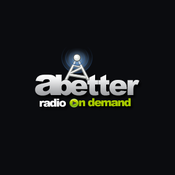 A Better Awesome 80s station is a hit radio channel based in Mobile, Alabama. A Better Awesome 80s station plays various types of music genres like Pop, New Wave and Rock Songs, and they are very conscious about listeners demand and choice. A Better Awesome 80s radio station also operates various informative programs that includes listeners participation.